It's every musician's nightmare: You're on stage. You're performing. But then something goes terribly wrong and your tablet — which you're using to perform — suddenly crashes to the floor and its screen splinters into a million little glass pieces. It's enough to give anyone a heart attack. Now you can alleviate your fears and perform with confidence thanks to IK's new iKlip Xpand. It's an adjustable tablet holder that uses four expandable grips that can hold most large tablet sizes securely. 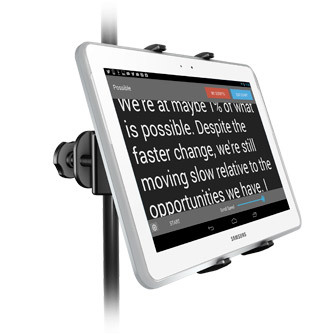 Its rubberized "Gorilla Grip" technology holds your iPad or tablet on a microphone stand, and its ball joint design allows for infinite adjustment so you'll always have an optimal viewing angle. 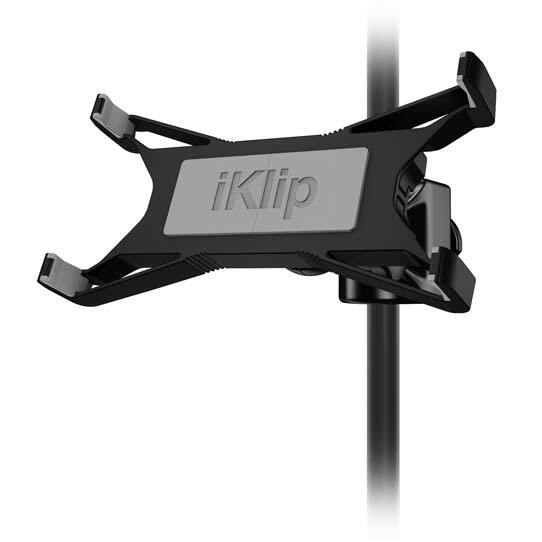 iKlip Xpand features an expandable holding bracket with a soft rubber contact surface that adjusts to the width of your device providing a safe and secure way to hold your tablet firmly. With iKlip Xpand, you can position your device exactly where you want it and rest assured it will stay in place. iKlip Xpand features several breakthrough technologies that allow it to hold virtually any tablet with a screen size from 7” to 12.9”. You can even use it without removing the protective case of many of your favorite devices. 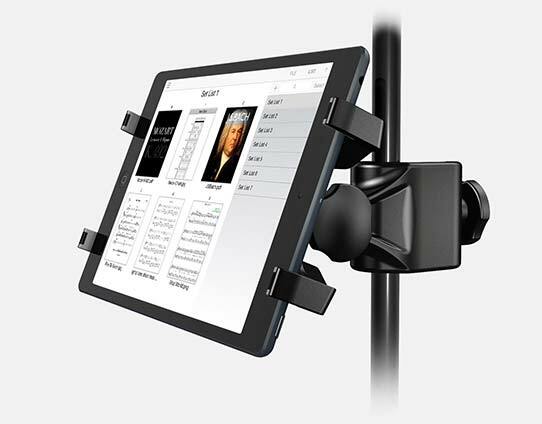 First, iKlip Xpand features an expandable holding bracket that utilizes an expansion "memory" bracket which allows you to quickly and easily mount an iPad — or similarly sized tablets — to a microphone stand. Its rubberized "Gorilla Grip" backing ensures a firm grip of the device that neither scratches nor mars your tablet's surface. Its ball joint global positioning system lets you precisely position your device at any angle for optimum viewing in both landscape and portrait modes. 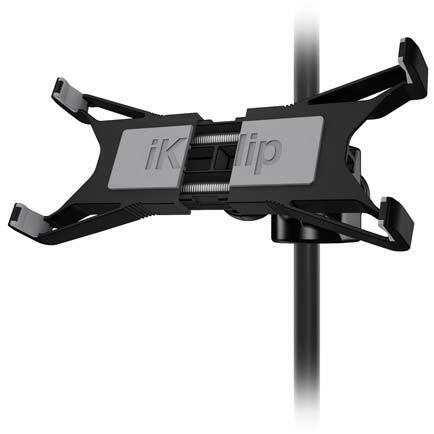 iKlip Xpand features a universal mounting bracket for microphone stand poles — it can be attached to any pole with a diameter of up to 1.2” (30mm). 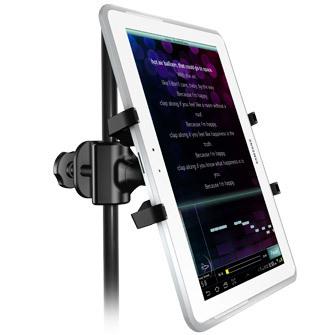 Now you have the flexibility to attach your device to either the vertical pole or horizontal boom of most microphone stands. 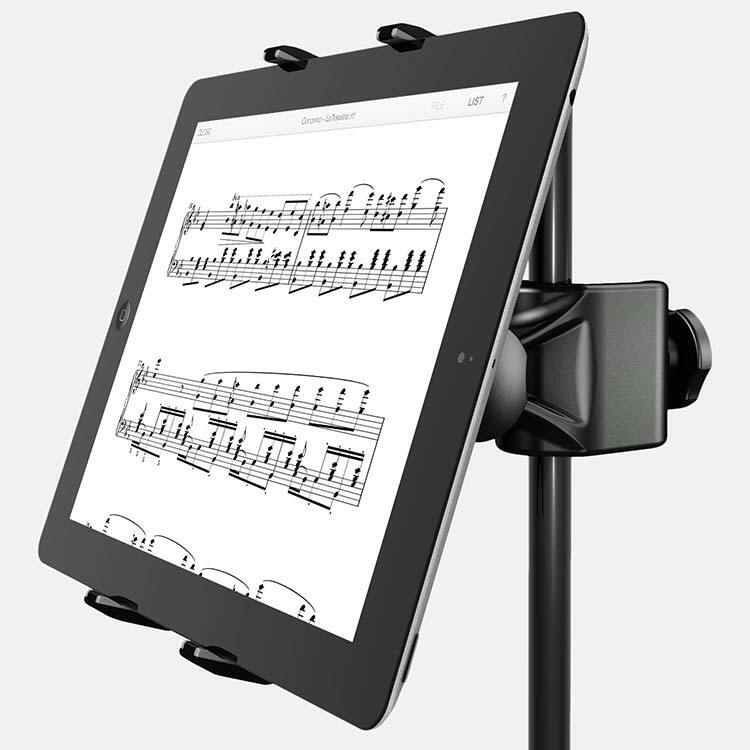 iKlip Xpand makes it easy to use your iPad or other tablet (like a Samsung Galaxy Tab, Nexus 7, HTC Flyer or other, similarly sized device) on stage, even if it has a case on it. 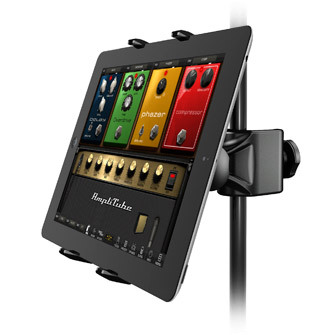 Now you can bring your favorite apps to the stage: Guitarists can use powerful real-time effects processors. Keyboard players can play with a whole galaxy of virtual instruments and synthesizers. DJs can enjoy mixing and other groove making apps. And musicians and performers of all kinds can have a clear view of their favorite lyric and chart apps. You can do all this and more, and iKlip Xpand's ball joint positioning system makes it easy to precisely adjust the device for optimum viewing in both landscape and portrait orientations. 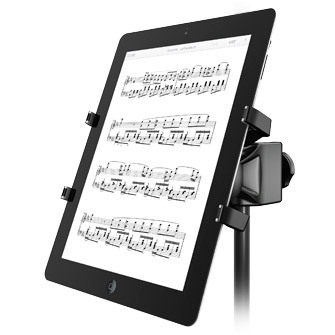 When an iPad or other tablet is mounted in the iKlip Xpand, all the device ports and controls are unobstructed. Now you can easily connect all your cables and make adjustments on the fly. Like all IK products, iKlip Xpand has been designed and manufactured in Modena, Italy — a city famous for high-performance Italian industrial design. Each product goes through rigorous quality testing to ensure the utmost in dependability and quality — iKlip Xpand is designed to last performance after performance and night after night. We use only the highest quality components and materials so that you can do what you love and perform with confidence. With iKlip Xpand, you'll be on-stage performing in no time at all thanks to its included iKlip Stage app. It's a streamlined music file management and page turning app with intuitive controls that make it easy to organize and perform with your favorite music scores, lyrics, tabs and more. Pair iKlip Xpand and iKlip Stage together and you have a powerful, easy-to-use tool that will make your live performances a whole lot easier. 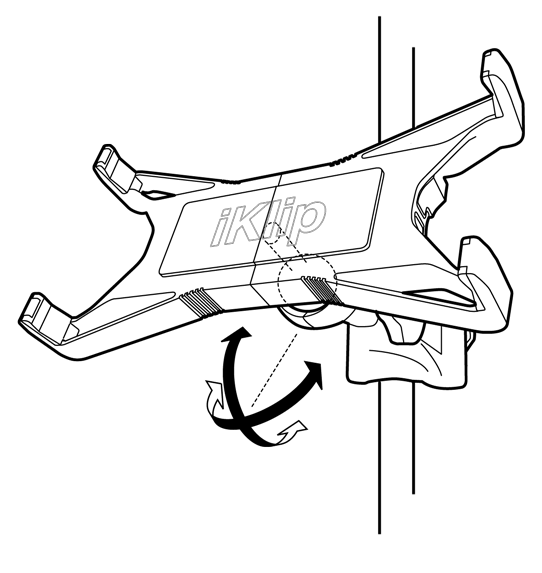 iKlip® is a trademark property of IK Multimedia Production Srl. All other product names and images, trademarks and artists names are the property of their respective owners, which are in no way associated or affiliated with IK Multimedia. 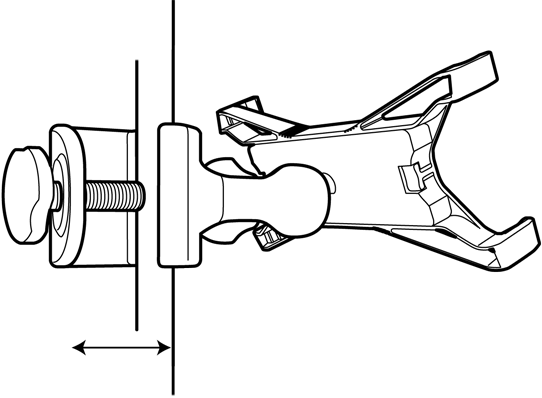 iPhone®, iPod touch®, iPad®, Mac and the Mac logo are trademarks of Apple Computer, Inc., registered in the U.S. and other countries. App Store is a service mark of Apple Inc.